"This is it, the end of the presidential race and feels like the end of the world. It's, i'm not gonna lie, I don't know if you've come to the right place for jokes tonight. This is the first time throughout this entire race where I am officially sh*tting my pants. I genuinely do not understand how America can be this disorganized or this hateful." Of course, he still peppered in some jokes ("I don't know if you've seen this, the Mexican peso is crashing, that's what's happening to Mexico's currency, which means if Donald Trump wins, Mexico can't afford to pay for that wall.") and the show included humorous segments with other contributors, but for the most part, it had a sad and concerned tone. Noah's first guest was author and writer Ana Marie Cox, who off the bat was straightforward about how not funny this election is. She noted that America is more sexist and more racist than she wanted to believe. She ended her interview saying that if Clinton does pull off a win she'll still be "very disturbed." She continued, "I'll be happy that a woman won … but I think that there’s a lot of damage here to repair and it's going to have to start after this show ends." The downtrodden mood continued with the second guest, Douglas Brinkley of Rice University, who was also stunned that Donald Trump was doing so well. 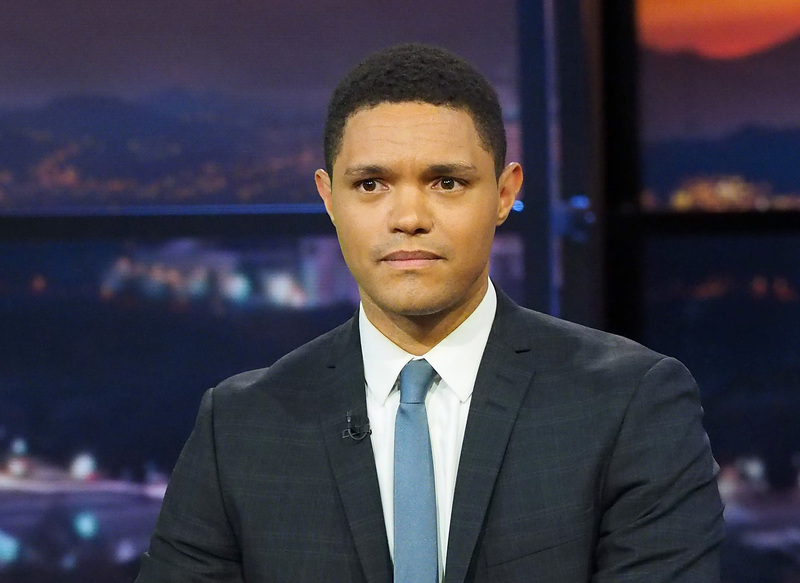 Of course, in its many years The Daily Show has had many somber episodes — ones that followed terrorist attacks, mass shootings, and other awful, tragic events this world has seen. At this point, with the election not over, it's hard to know exactly how this one will go down in history, but it's definitely one that will be remembered, not for the comedic aspects, but the serious truths that were spoken.